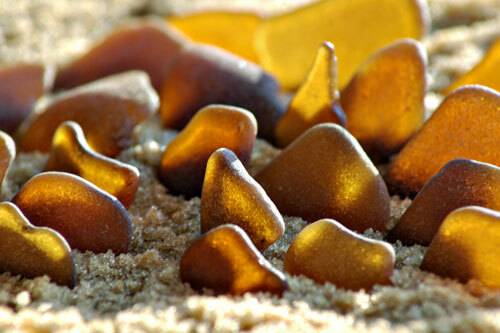 Brown and amber sea glass. There are so many shades. I love them all. Brown is the second most common colour of sea glass, but despite its position on the rarity chart it’s one of the most beautiful colours. I love it’s richness and the way the sun shines through it so deliciously. 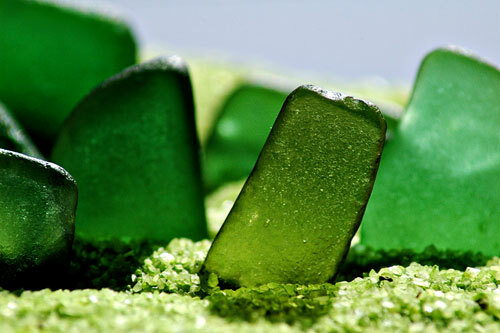 I recently made my own sea glass candy. Yum! To be honest, this was my first attempt EVER at making candy – and it was a breeze! These candies aren’t only easy – they’re super tasty too. My husband and kids gobbled down the rootbeer candies so fast I didn’t even have time place them inside a favor tin to snap a photo! These would be perfect to give as gifts. Cover hardened candy with parchment paper and tap with a mallet to shatter candy into small pieces. Use a basting brush and coat candy pieces with icing sugar or confectioner’s sugar. If giving as gifts, place into favor tins. (I lined the inside with a cupcake liner.) Tie with ribbon and adhere labels. It takes us 45 minutes to get to the beach. We take the back roads. I love the back roads, especially when they are exploding with colour. I shot this yesterday on the way there. 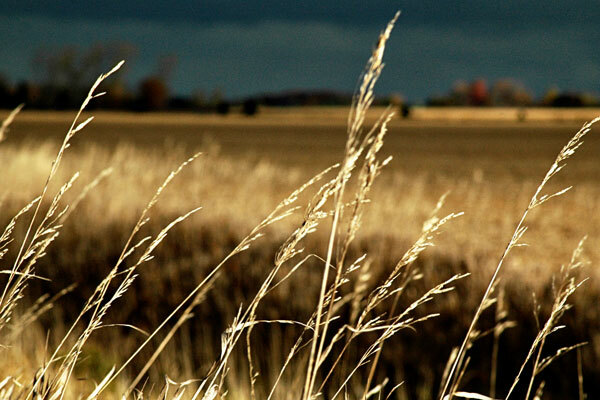 It was rainy, windy and cool – and the sky was so dramatic. Beautiful. Incroyable!!!! I found my first bottle stopper!!! Beautiful aqua with a number on top. It’s either a six or a nine, depending on how you look at it. I did a bit of research on bottle stoppers and I think this dandy might be nearly 100 years old. It could be from an apothecary jar. I have to do a bit more research. What an amazing week! 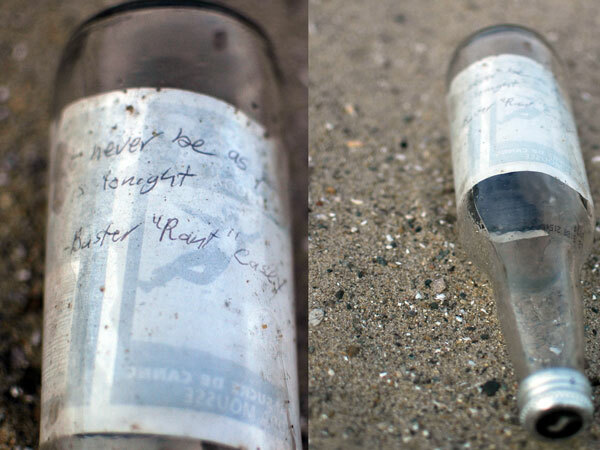 I found a message in a bottle, a sea glass marble, my first piece of pink (hubby found it), and a bottle stopper. What’s next? I learned so much last weekend at the North American Sea Glass Festival in Erie, PA.
1. One of the things I learned was that my little beach is a pretty darn good place to get glass. I had a chance to look at some other sea glasser’s collections (they were mainly from Erie, PA and the Ohio area). Nice collections – but I dare say mine was just as good as some of the collections that I looked at and I just started this year. I also learned that there’s a very good chance that I have plenty of old glass in my collection. Richard LaMotte gave a presentation at the festival and he mentioned that if you find an area with lavender glass, it’s likely that it’s an area with some old glass. And I find a good assortment of lavender sea glass at my little beach. 2. Sea glass is hot. Very hot. I think this trend is nowhere near its peak. 3. Sea glass jewelry is a good niche to be in. It’s still fresh and the market is not over-saturated.. yet. 4. Most sea glass enthusiasts are 50+. 5. The glass on the south side of Lake Erie is different. At least it is in Erie. I didn’t find a lot, but what I found was very round and frosted. Lovely glass. 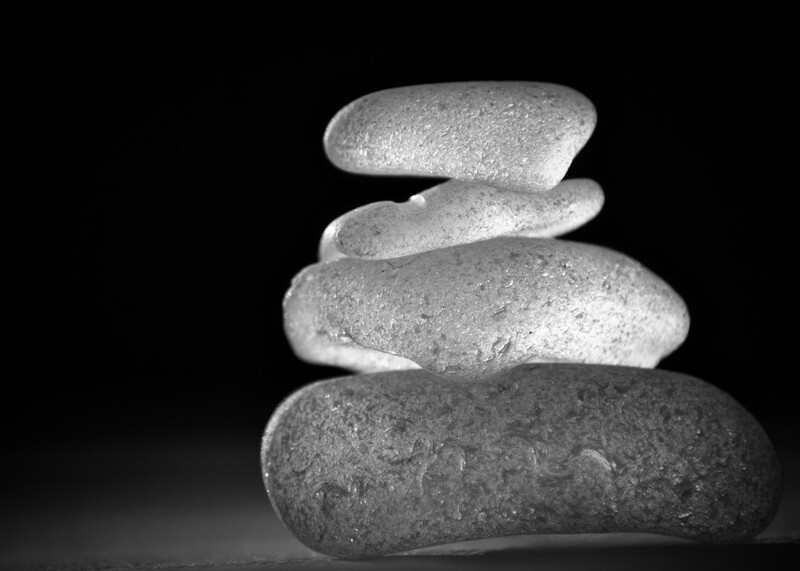 I think it gets worn down by the round rocks that you find all over the beaches there. I have so much more to write about the festival. Stay tuned! Photo: Just a handful of the shards entered in the Shard of the Year contest at the North American Sea Glass Festival. I’ve never physically met anyone else who collects sea glass (other than my two kids and my husband and a few brief encounters with strangers on the beach.) 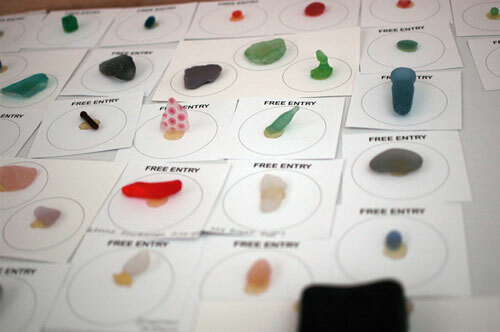 Sure, I’ve connected online with dozens of other sea glass collectors, but I’ve yet to have a face to face conversation with another sea glass collector. In fact, many people in these parts barely know what sea glass is. Them: Blank look. Eyes slightly glazed over. Usually the conversation ends there or changes to another topic. But things were a bit different this weekend: I was in the company of thousands of sea glass collectors at the North American Sea Glass Festival in Erie, PA.
Four years ago, the first North American Sea Glass Festival attracted 1,000 people. This year 6,000 + came through the doors. I think this is only the beginning of the sea glass phenomenon. 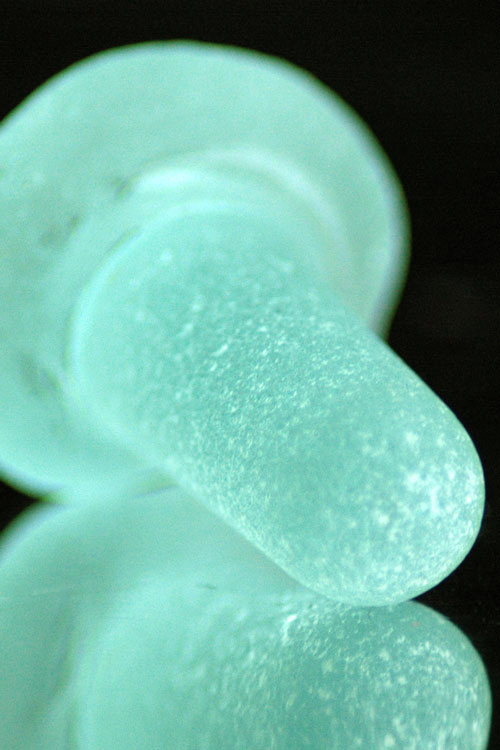 An entire industry of jewelers and artisans has blossomed around the sea glass movement. And consumers are loving it. I couldn’t even get near many of the sea glass jewelry booths at the festival because of the crowds. I am so damn inspired! I looked up Buster “Rant” Casey on Google. He’s the main character in Rant: An Oral Biography of Buster Casey, a 2007 novel by Chuck Palahniuk. Thanks for the message, message writer. Whoever you are. Wherever you are. I’ve yet to categorize my growing collection of green into shades. I have many shades – and shapes. I rubbed some olive oil on these for the photo. 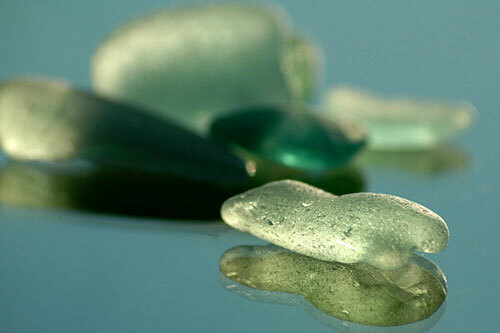 Sea glass is a gift from the sea. 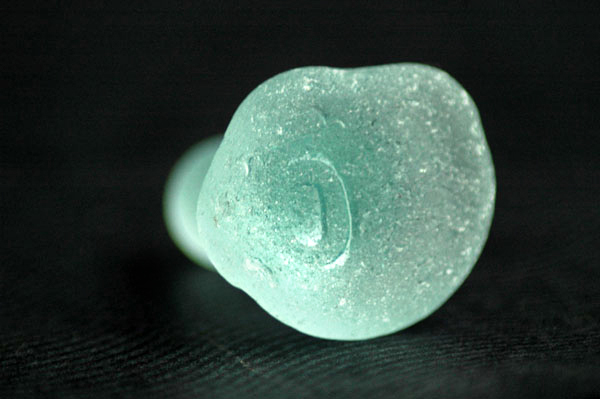 Collecting sea glass is a form of meditation. As soon as I hit the beach it’s as if a chalk eraser comes and wipes away all the messages in my busy mind. All the negative thoughts. Anxieties. I’m left with a clean blackboard and a bucket full of joy.